There is no better way to ensure that the villain in your horror film will be as cheesy as possible than to have a former professional wrestler play the role. 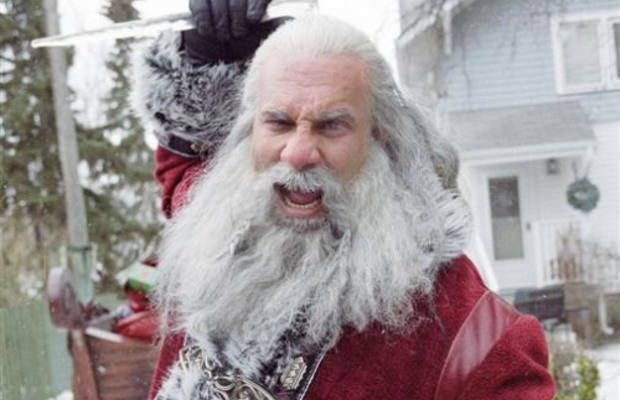 Bill Goldberg was a huge name for WCW and WWE in the 1990s and 2000s, so someone had the great idea of slapping a Santa Claus costume on him and casting him as a sociopathic version of Saint Nick. Complete with his “hell-deer,” this version of Santa Claus is a far cry from the slightly perverted, and booze soaked, actors who play Santa at your local mall. But despite the fact that Goldberg is an intimidating presence, that can’t stop him from being a dreadful villain. The filmmakers should have taken their cues from watching The Marine and stayed as far away from casting a pro-wrestler as possible. Nothing is worse than watching a 6-foot-6 mountain of a man with the acting skills of an oven mitt prance around in a Santa suit.